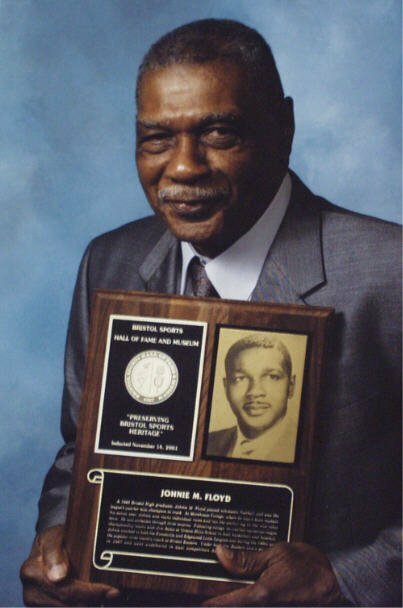 A 1945 Bristol High graduate, Johnie M. Floyd played scholastic football, and was the league’s quarter mile champion in track. At Morehouse College, where he was a team captain his senior year, he won many individual races and ran the anchor leg on the mile relay team, unbeaten through three seasons. Following college, he coached numerous league championship teams with Jim Bates at Greene-Hills School in both basketball and baseball. He coached in Little League and during the 1960s was the popular cross country coach at Bristol Eastern. Under his helm, Eastern won a state title in 1967 and went undefeated in dual competition during three separate seasons.